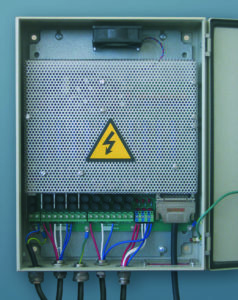 The Measurement and Control division has developed a range of specific Advanced Process Control Solutions that are implemented on Mintek’s process control platform, StarCS. Advanced stabilisation and optimisation control has been developed for Milling, Flotation, Smelting and Gold Leaching. Knowledge of how the electrical power is dissipated in the burden of a submerged-arc furnace can assist with the metallurgical operation. 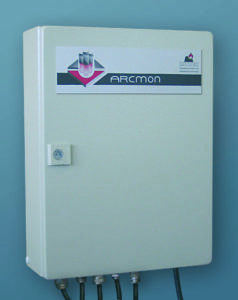 The Arc Monitor or “Arcmon” quantifies the magnitude of the arcing and the resistive conduction in the furnace. In doing this it is able to distinguish between the individual electrodes. It also provides an indication of the magnetic reactance for each electrode, thereby revealing asymmetries in the geometries of the electrodes and the burden. The Arcmon can be used for automatic control of the furnace, but the metallurgist can also use the Arcmon information directly to interpret the operation of the furnace. Harmonics have traditionally been used to quantify the extent of distortion of the waveforms, but this approach suffers from the problem that it is not easy to link the measured harmonics to the actual source of the waveform distortion. Arcmon, however, uses a time-domain analysis of the furnace circuit, and is thus able to pinpoint the source and the magnitude of the circuit elements that cause the distortion of the waveforms.